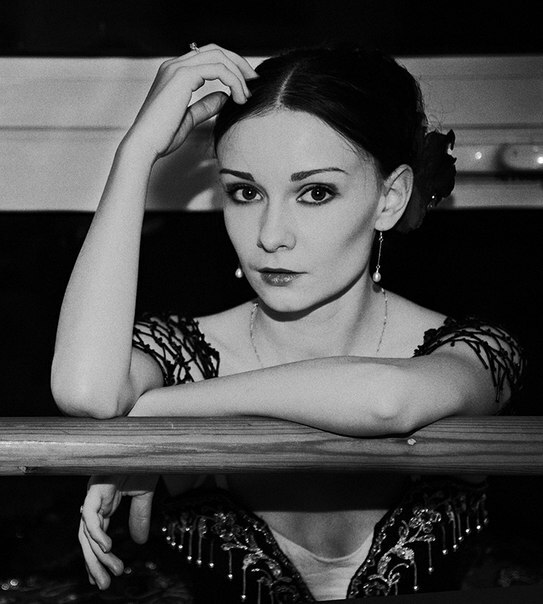 Ekaterina Pokrovskaya appeared in Europa,Japan,Brasil,China and was principal dancer in Russian National Ballet Company artistic director Sergei Radchenko. She dance in New Jersey Ballet Company and perform dance for ballet competition. I wish Ekaterina continue to improve in the ballet repertoire from classic till modern and dance the leading roles in contemporary choreography. If you going to a beautiful theater to see a excellent performance that is my recomendation for this evening dress or outfit. Ballet is about romance and emotion exess, Ornate costumes, incanely talented dancers, tragic love story Giselle and a lot of gilt and jewel.Wear a pastel Dress with gold braclet and earring. Or you like modern dance you can wear blouse with pants and high heels. Don`t forget red lipstick and classic perfumes. Do you like my evening look for Theater ?